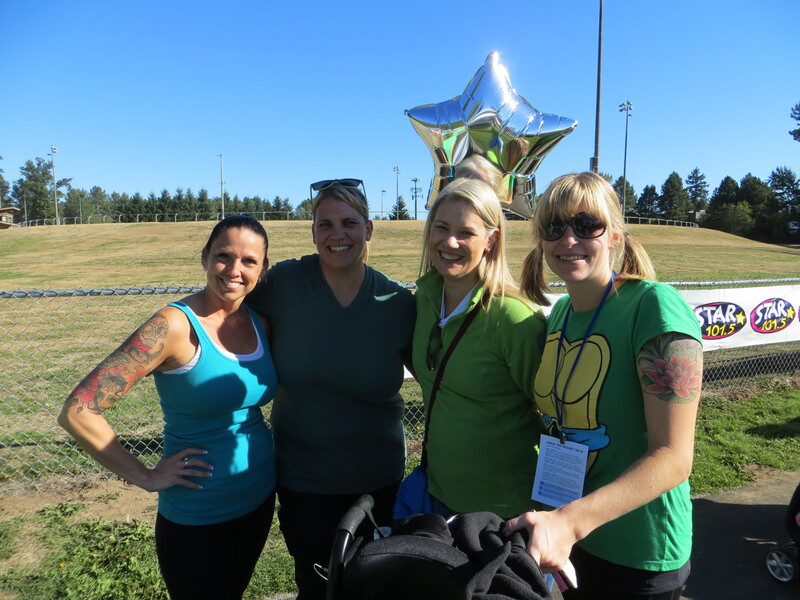 What a wonderfully fun day in the sun with friends walking for a great cause! I wrote a while back that I was going to participate in a Walk for Wishes event with my buddy Logan and as promise some pictures from the day! 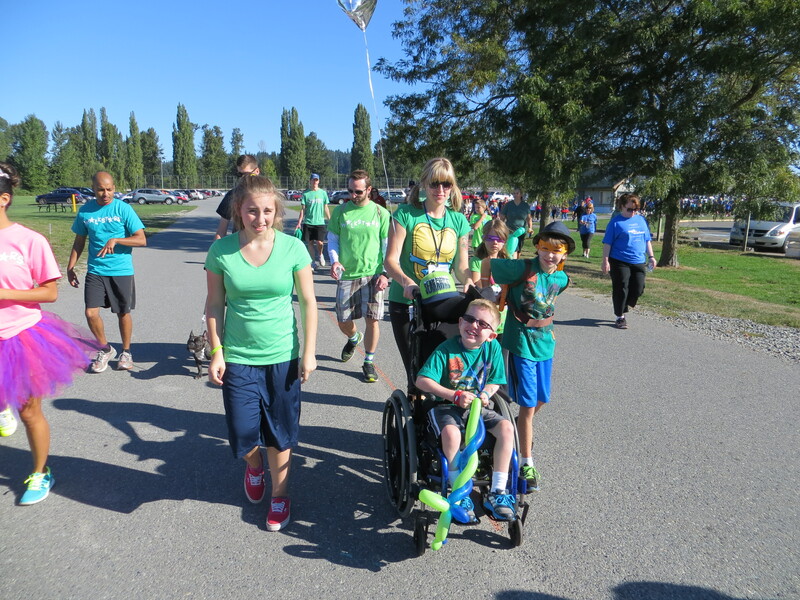 The team of Logan’s Hero’s at the Walk for Wishes – Make a Wish Walk! I didn’t realize my “fisheye” effect was on my camera at first, so the first dozen or so pictures have the funky effect on them! 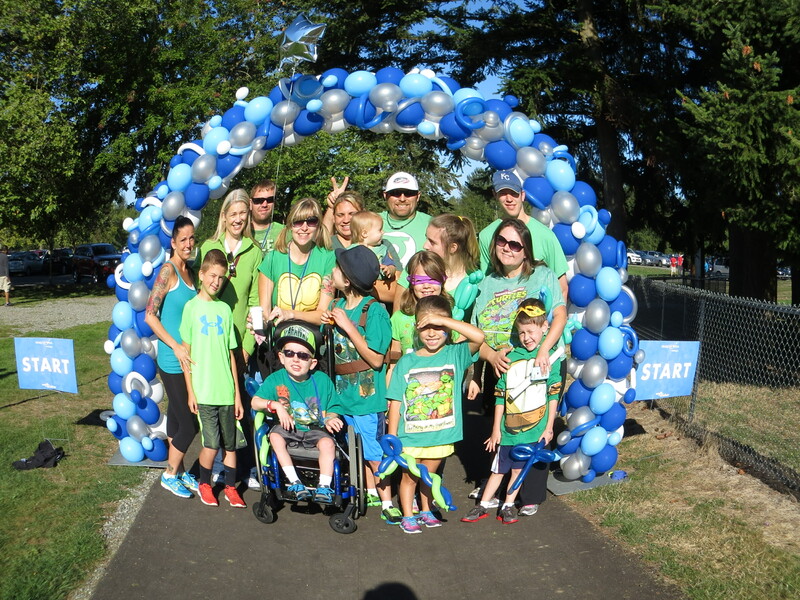 Such a fun time walking with all my Ninja Turtle team. Blitz the Seahawks mascot was hanging out with the Wish team today! 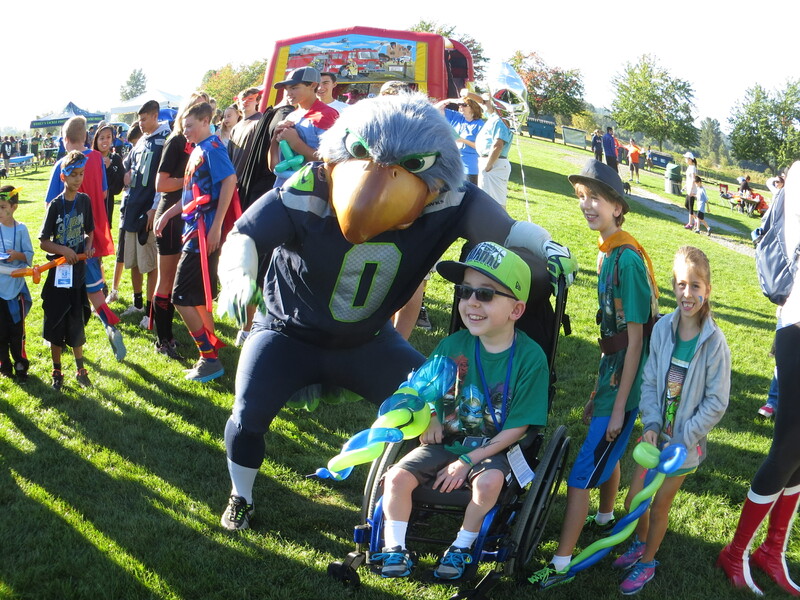 There was so much going on at this event; balloon animals, face painting, snacks and prizes, Blitz from the Seahawks, a huge guy from Halo, bouncy houses and lots of sunshine! 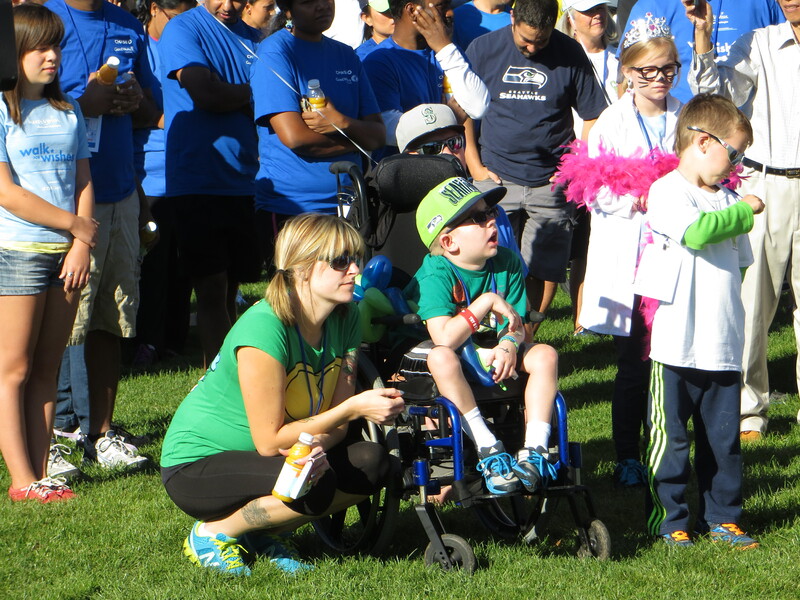 Brandy and Logan listening to an inspirational Wish Kid! 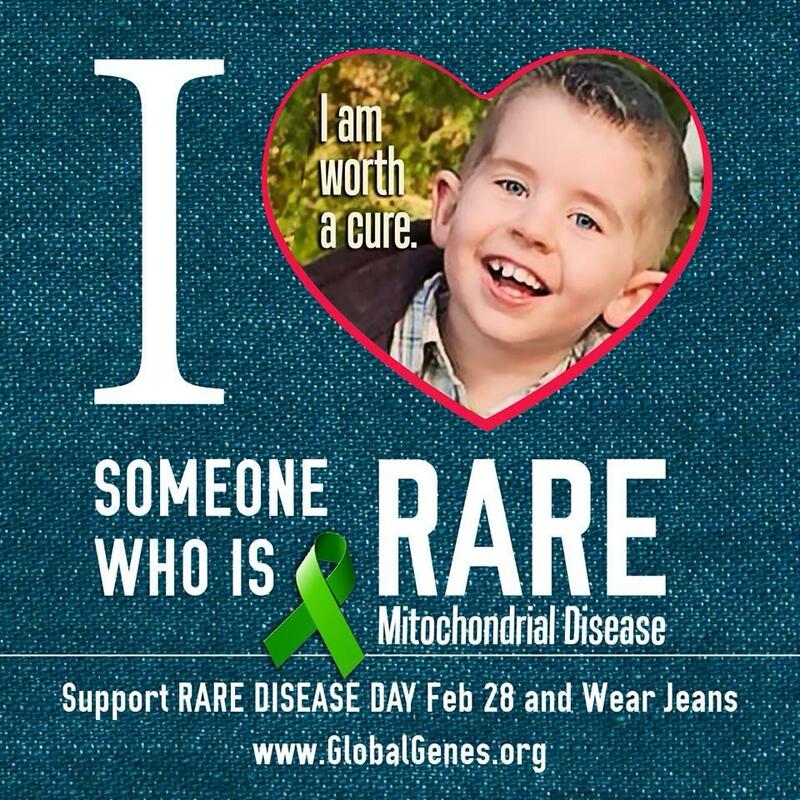 The young boy who spoke has suffered from kidney decease all his life and was lucky enough to receive a transplant last year. His wish was to meet the band Macklemore and he said the excitement of the wish and the wish itself truly helped him get through some very sad and scary times in his life. For a very young man he did a wonderful job! Team Logan walking the course! 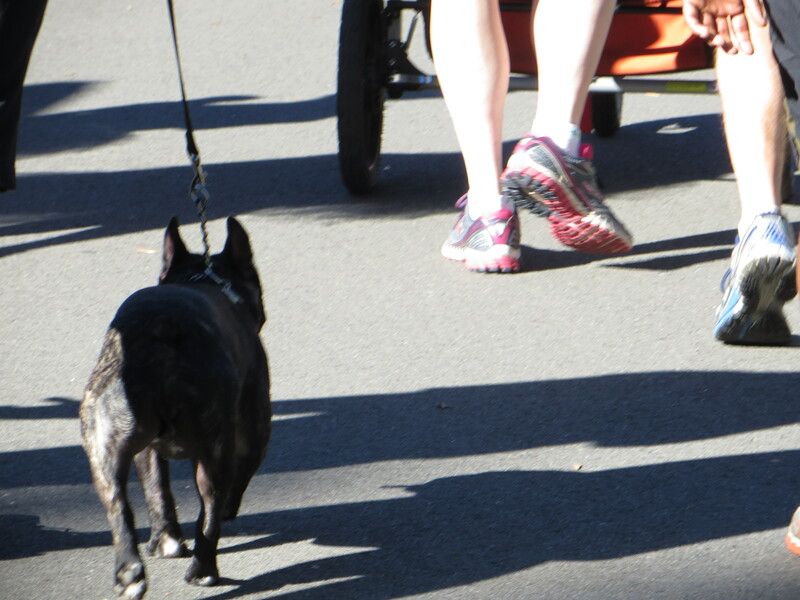 I’m a Frenchie fan and so I had to capture one of the cute little canine walkers! I had such a fun day! I made some new friends, was inspired by so many brave kids and selfless volunteers, got to spend the day with Logan who is such a cool, sweet and wonderful guy and to top it all off got in a nice workout! Absolutely no better way to spend a lovely Sunday!